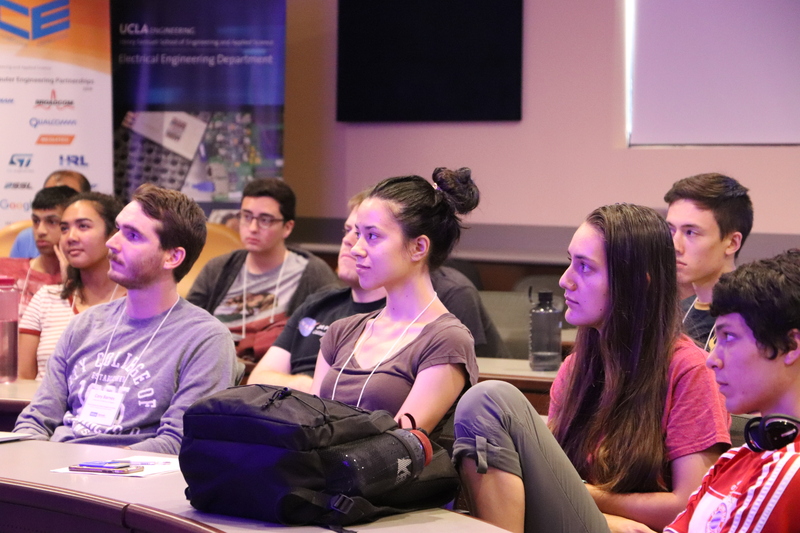 The UCLA Henry Samueli School of Engineering and Applied Science offers first-in-class research opportunities that lead to undergraduates who are well-informed about engineering career opportunities in both academic and corporate settings. 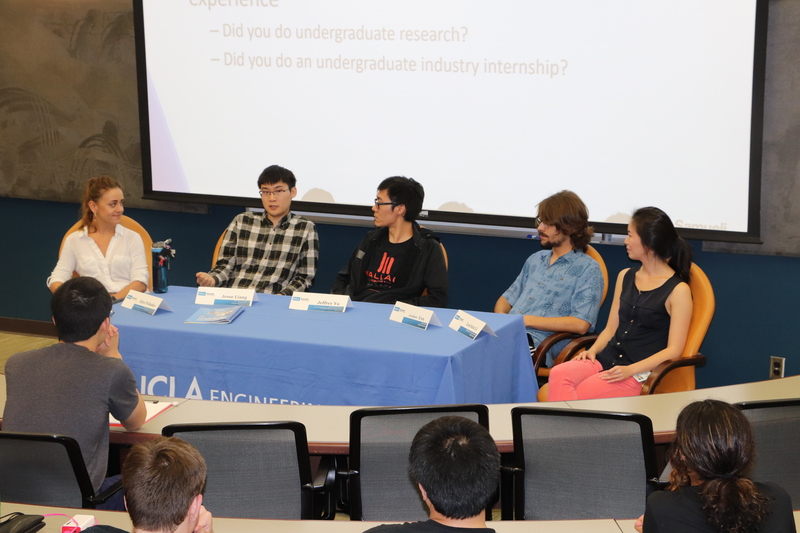 UCLA Samueli offers elite undergraduate engineering students a valuable academic research experience. Our program is designed for students who are interested in understanding the impact of engineering research and learning more about the graduate school experience. 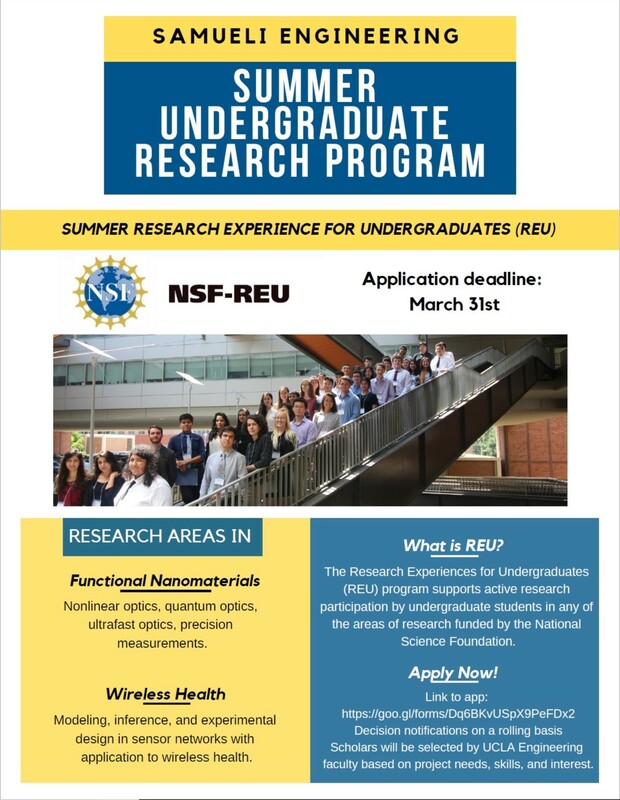 Selected scholars for the two REU sites (wireless health and functional nanomaterials) will be paired with a UCLA Engineering faculty based on project needs, skills, and interest. Interns will be invited to work on a project that contributes to the momentum of their assigned lab. The engineering faculty lab REU supplement is for UCLA students who are planning to do research at UCLA over the summer with a faculty member. We do not match UCLA students with faculty members, so UCLA students must independently find faculty members to do research with during the summer. The application for SURP will be a common application for the two REU sites and the engineering faculty lab REU supplement. For the students doing the engineering faculty lab REU supplement, the application will merely be a formality. For general inquiries, please email uclasusp@gmail.com. For specific questions, please contact Program Director, William Herrera, through MyUCLA Message Center. 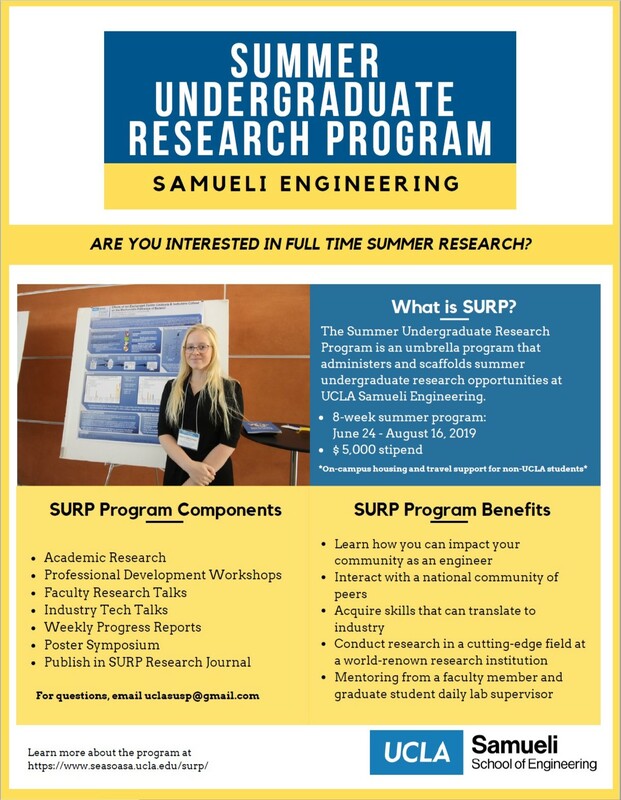 SURP provides students with various opportunities for academic and career growth. Swipe right for more information! 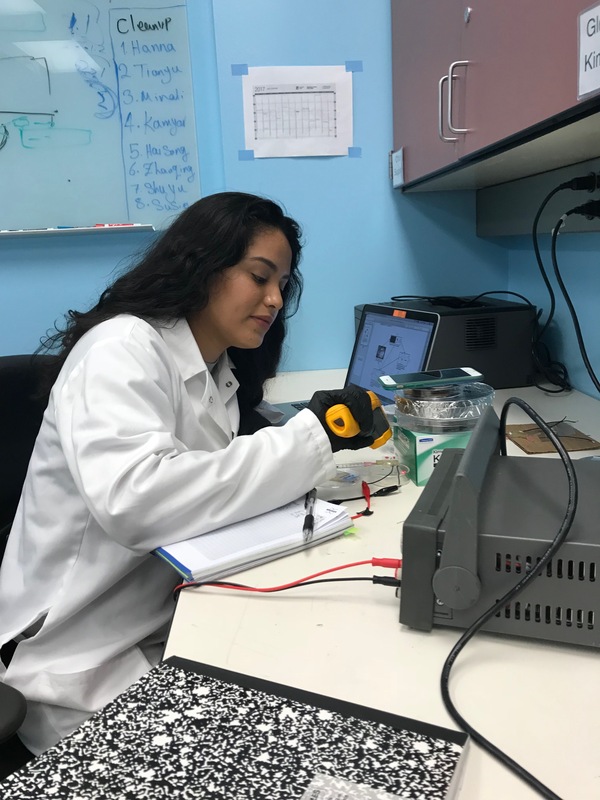 Scholars can expect to work independently or on small teams, along-side other undergraduate and graduate students, in a UCLA Engineering faculty’s lab. Each intern will be provided a research mentor who will help to identify a research topic or question that can be accomplished in the short 8 weeks. Participants should use this opportunity to challenge themselves to contribute new knowledge to the academic community. Scholars will have an opportunity to participate in workshops designed to aid in their educational and professional pathways. Scholars will have an opportunity to hear presentations from our industry partners. 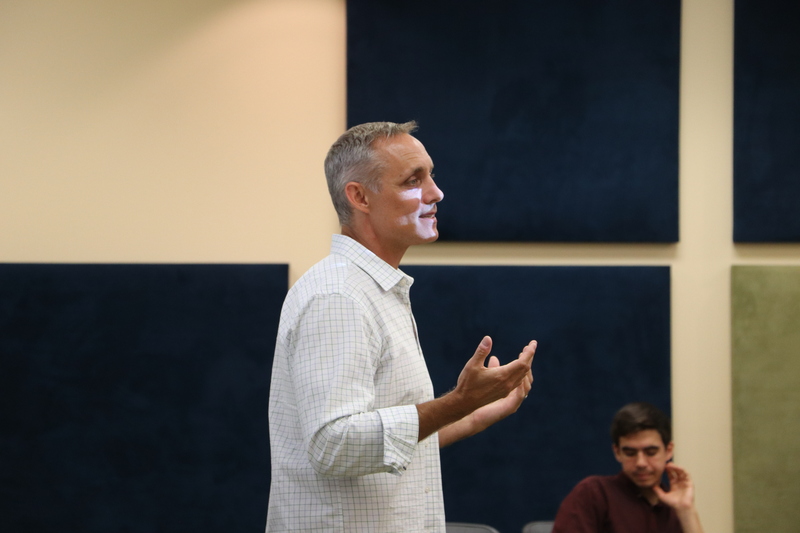 Past Tech Talk series have included presentations from Disney’s Imagineering, Two Bit Circus, Broadcom, and Northrop Grumman. Scholars will hone their presentation skills and prepare for fielding questions at the Final Poster Symposium by presenting a bi-monthly progress report on their research. Participants will generate a slide set and present to the mentors and other interns on their progress and next steps. A short question and answer session following the presentation should generate dialog about the project. All participants are expected to present the final results of the work at the Final Poster Symposium. Scholars are encouraged to demonstrate prototypes and/or systems. Scholars, mentors, family, and friends are encouraged to attend. RSVP required. Each Scholar will have their work published in our annual Summer Undergraduate Research Program brochure. *Please check program websites for specific details. Please visit the websites for each program to learn more about the research focus, eligibility, application process and deadlines. Conduct research in a cutting-edge field at a world-renown research institution. Mentoring from an UCLA Engineering faculty member and graduate student daily lab supervisor. Learn how you can impact your community as an engineer. Interact with a national community of peers. Discover pathways to graduate school. Acquire skills that can translate to industry. Gain a competitive advantage on your peers. Engage the ultimate academic challenge.